I photographed actor Wendell Pierce at home in the Pontchartain Park neighborhood of New Orleans for a feature in Esquire UK. Pierce stars in a stage production of Waiting for Godot this fall in London. 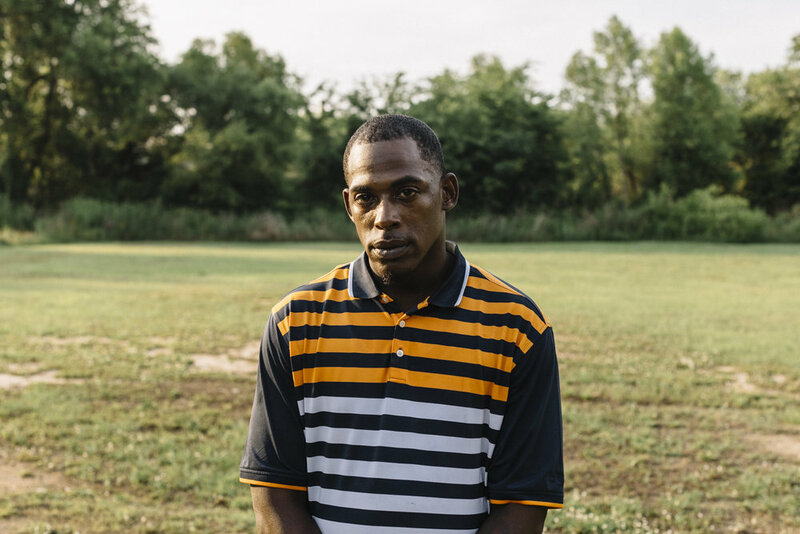 "The fatal police shooting of Ricky Ball in October 2015 convulsed the city of Columbus, Mississippi. Residents marched. Some businesses, fearing a race riot because a white cop had killed a black man, closed on protest day. A city council member accused the department of planting a gun beside Ball’s body. The police chief resigned. The district attorney called in state authorities to handle the case. I photographed a surviving family member, a community organizer, the path that Ricky took while running from the police, and an eyewitness to his subsequent death for Buzzfeed. Buzzfeed News: "Maybe These Cops Can Really Get Away With Whatever." As bail has grown into a $2 billion industry, bond agents have become the payday lenders of the criminal justice world, offering quick relief to desperate customers at high prices. I'm happy to have four pictures included in the American Photography 34 book this year! Two from "Rio Grande Recon", a New York Times assignment with US border patrol in Texas, and two from "The Plant Next Door", an environmental justice story I photographed in South Louisiana for The Intercept. Arcade Fire's Régine Chassagne and Win Butler and members of the Preservation Hall Jazz Band prepare for a new Mardi Gras event in New Orleans.